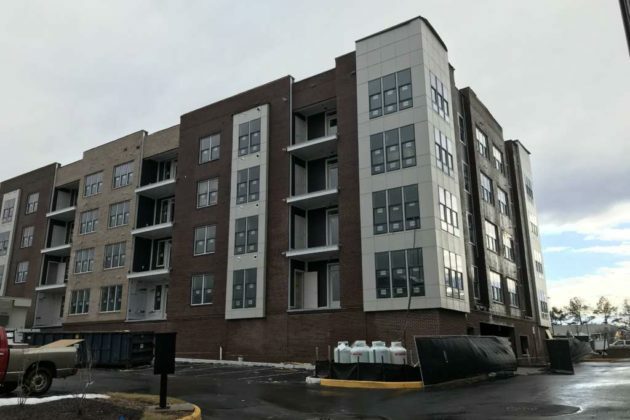 Just a short walk from the Wiehle-Reston East Metro Station, Lofts at Reston Station will debut new one- and two-level condominiums starting around $600,000. The redevelopment by Pulte Homes consists of 12 two-level townhome-styled condos and 32 one-level condos in an elevator building. 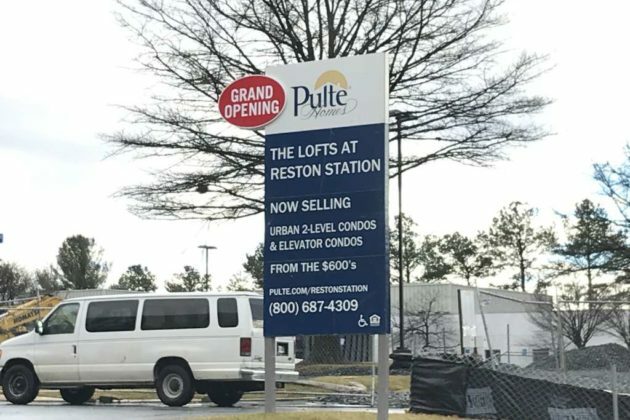 Reston Now previously reported that a representative for Pulte said the 44 new homes could expect an early fall opening. 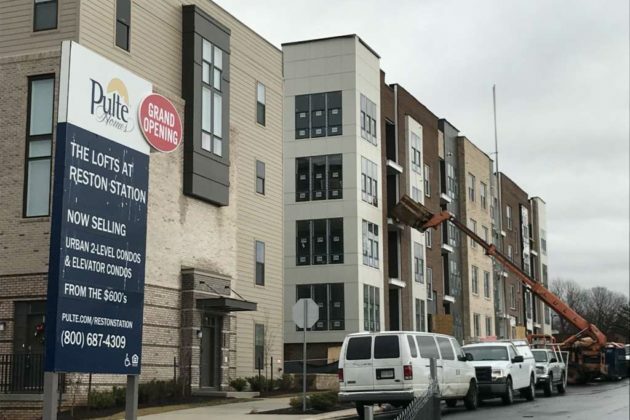 Now, Lofts at Reston Station anticipates completion this spring. 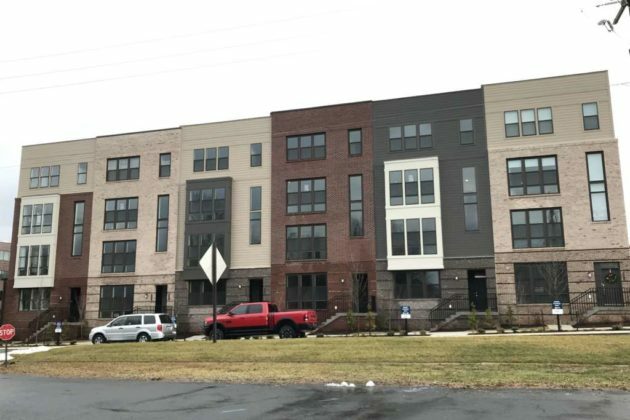 The two-over-two condos are finished and the one-level condos in an elevator building are scheduled to be done in May, Randall Anthony, a sales consultant for the Lofts at Reston Station, told Reston Now. Construction started last spring on the redevelopment project located at 1825 Michael Faraday Drive, replacing an office building and a parking lot. Plans for this development started back in 2015. The one-level condos will feature seven different home designs. Each condo will include two bedrooms and two baths, according to the Pulte website. 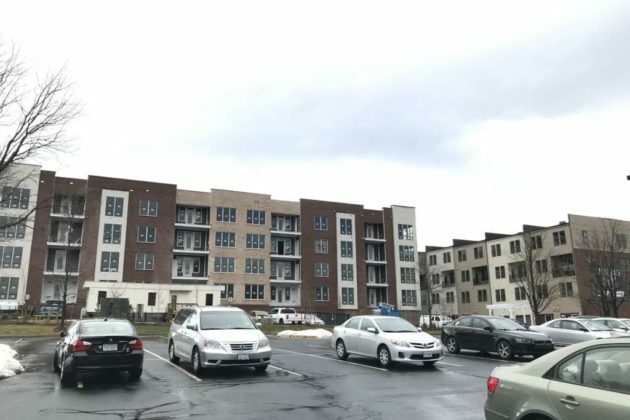 Meanwhile, the two-level condos will include two different home designs, with both offering up to three bedrooms and two baths each, along with a one-car garage. The website lists the starting price at $529,990. Residents of The Lofts will be Reston Association members.